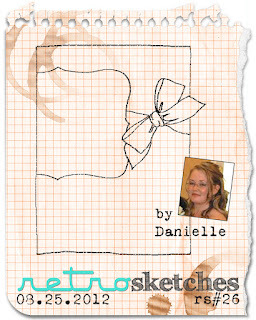 This week's RetroSketch was based on a card by Danielle Daws. 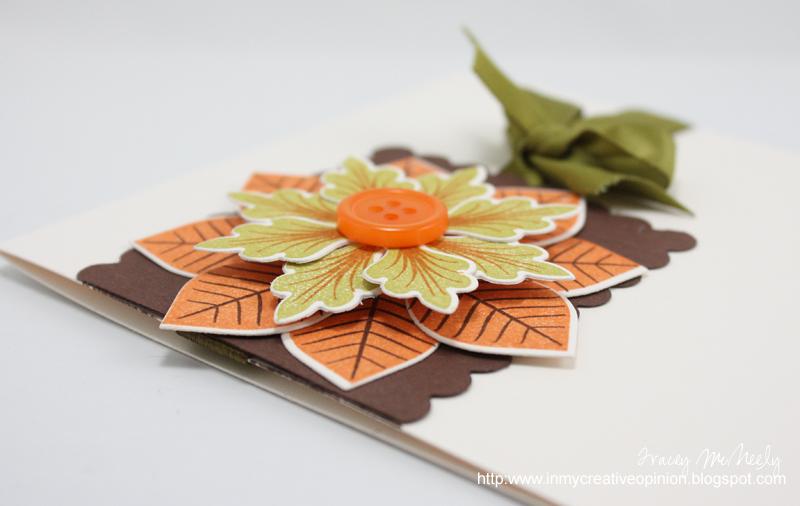 Although I just aid two days ago I wasn't ready to let summer go, and tonight at 10:30 it is still 30 Celsius (86 Fahrenheit) I was inspired to make my first card for Autumn. Well I got the shot that I was told on Tuesday I wouldn't get. In fact he was quite agreeable with the first one, but not so much on the second one. First day of grade 12 for Ben, he was at rugby tryouts/training camp the first two days which is why he is sporting the scrape across the bridge of his nose. Only fitting since today was also picture day at school! 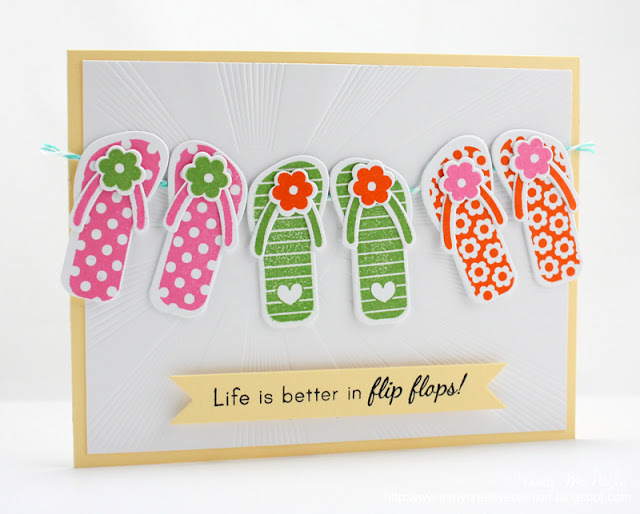 Paper Smooches is hosting a Blog Hop today. 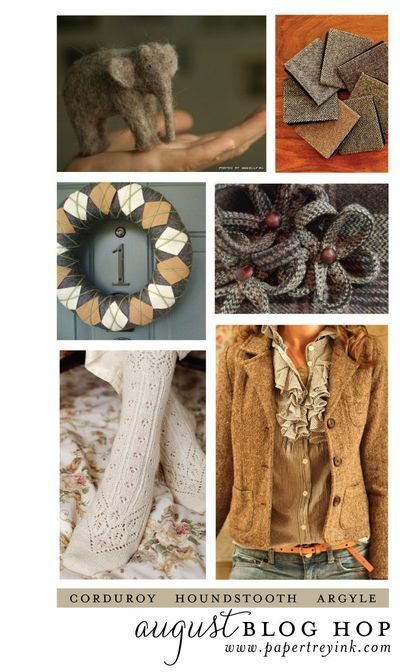 Some fabulous inspiration, go have a look. 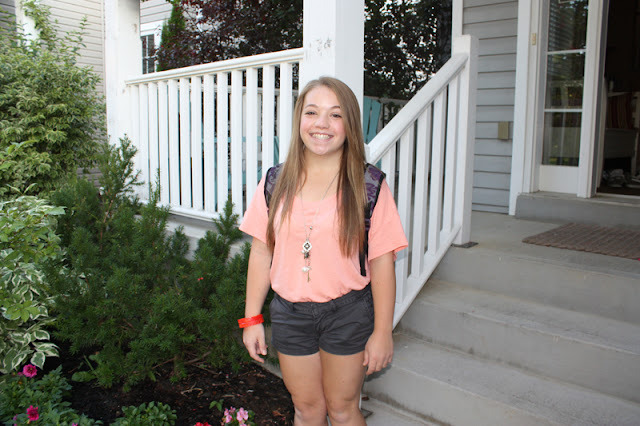 Even at 15 I got a picture for the first day of school. She was freaking out 30 seconds before this because she had to get going and hurry up with the camera Mom! I hope this energy to get going to school keeps up all year. It is not hard to capture a smile these days as she just got her braces off last week! She loved her card I made her from CASology week #6. Ben goes back to school on Thursday and has already informed me that we stopped doing pictures of him in grade 9 and it would be back luck to start up again in grade 12. I am not quite ready to say goodbye to summer. I love the fall with the changing leaves, cooler temperatures and warm sweaters but when it comes to footwear? I love my flip flops. They are the last thing that I give up when the cooler temperatures come. This weeks CASual Fridays Challenge is to create a clean and simple project that features banners or flags. 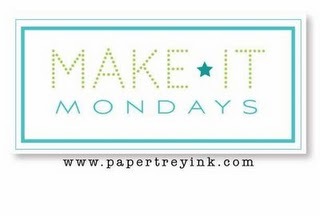 This week at Papertrey the Make it Monday technique was to use die cuts to create your own custom banners. So why not combine these two challenges. 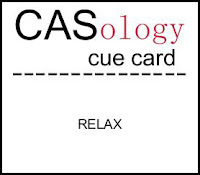 When I create a CAS card, I will usually have a mat of some kind. It could be white on white or it could include multiple colours. You can be sure my mat with work with the rest of my card. This week I prepared my mat and then decided that the card looked a bit plain. So I broke out my Fabulous Frames dies and chose the Polaroid frame to house my focal image. I die cut the space for my sentiment at the bottom of the frame so it didn't get too bulky. 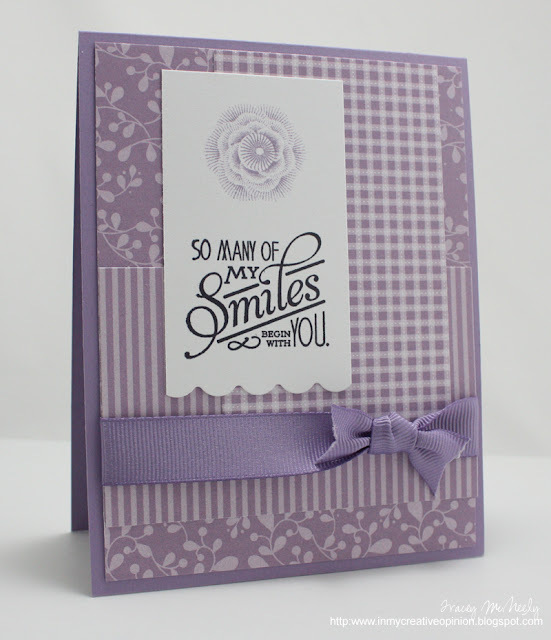 Most of my cards tend to be very CAS so I like to pick versatile stamp sets. If I am spending my money on stamp sets I want to be able to use it again and again without my cards always looking the same. 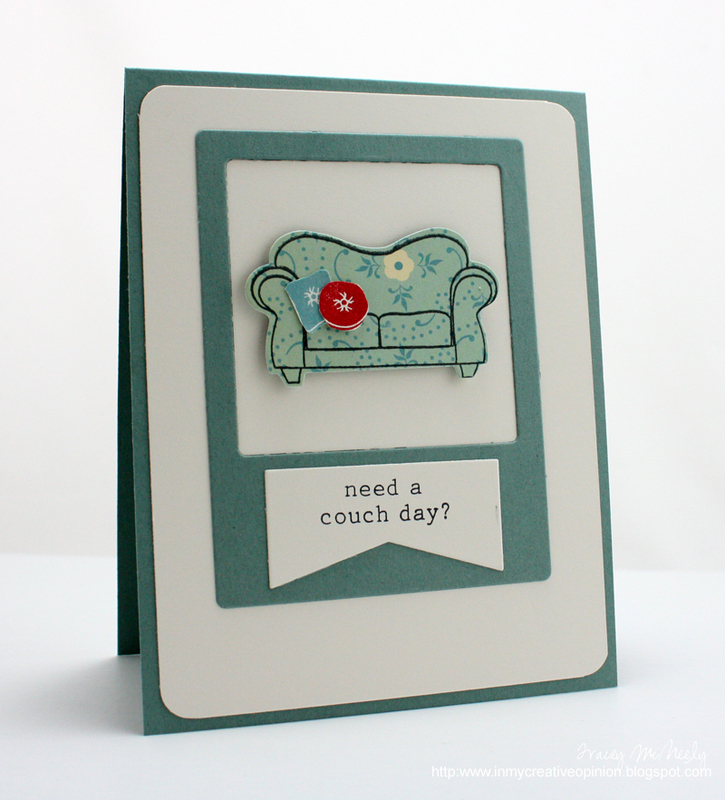 The fun thing with On My Couch by Papertrey Ink is that it features both a chair and a couch that can be stamped as an outline, a pattern or a solid. 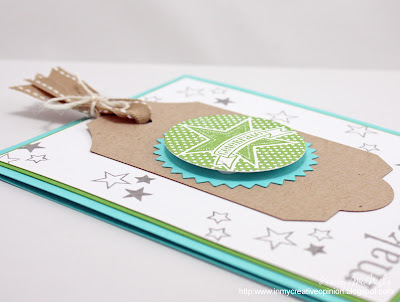 Outline stamps are excellent to stamp on and cut from patterned paper, or coloured in with Copics and even left alone for 3 very different looks. Pattern stamps can be stamped in any colour you choose and the same with solid stamps. I try to think of my options before making a purchase. Head on over to CASology today to learn what the `cue card`means to you, how you can play along and see the all the cards created by the Design Team to inspire you. I can't wait to see what RELAX means to you! Time for another colourQ challenge. 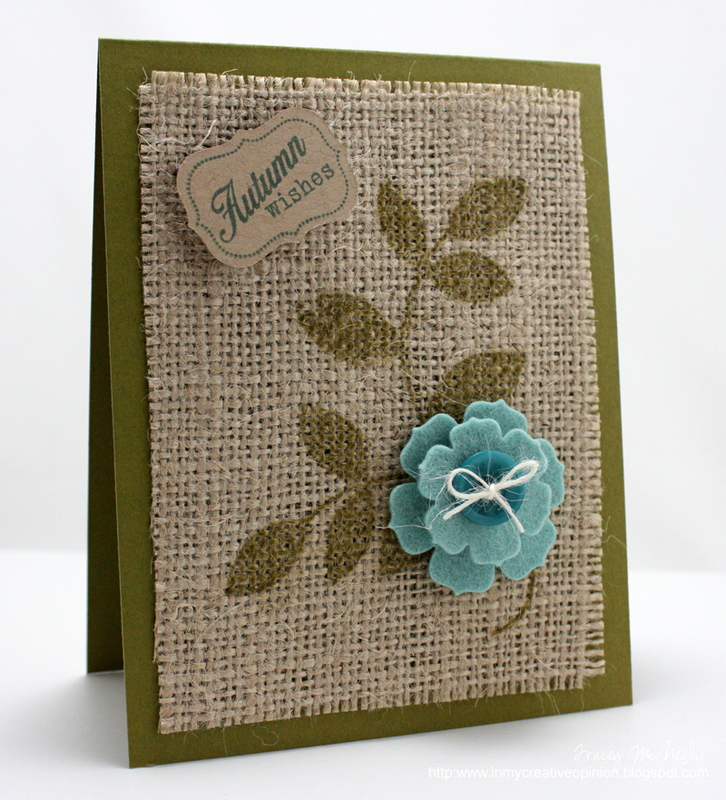 As usual Arielle has selected a beautiful palette of green, blue and gray for all of us to play with. Isn't that bedspead gorgeous? My daughter informed me that it would be perfect in her newly painted, more grown up, bedroom. Along with a queen sized bed. I have a need for a couple of masculine birthday cards in September so I went with a birthday theme. 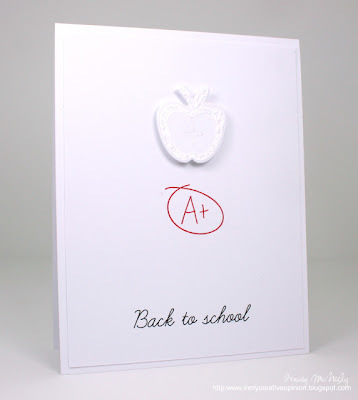 You CAN use ribbon on a card for a guy, it's all how you present it. 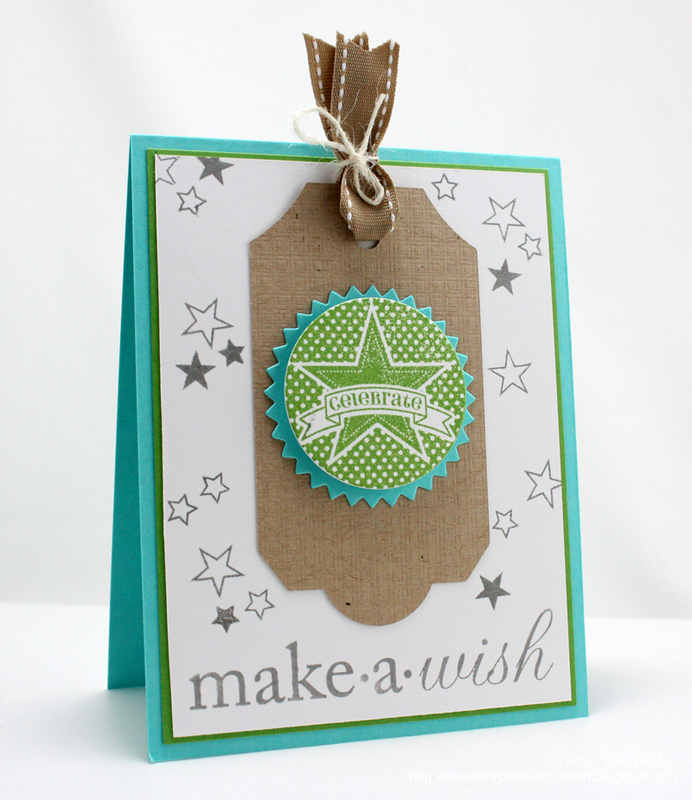 I translated this weeks colours into Papertrey Hawaiian Shores, New Leaf, Smoky Shadow and Kraft. 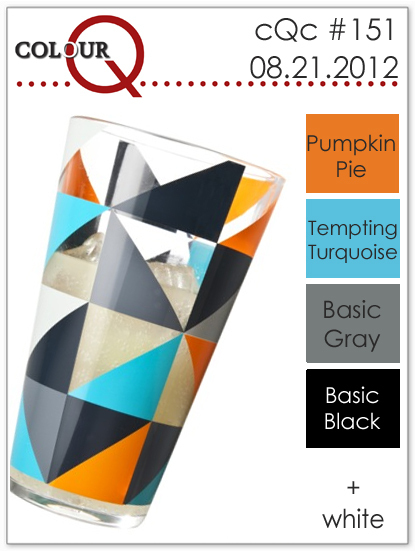 Be sure to visit the colourQ and see what the rest of the Design Team has come up with to inspire you. We hope you come and play with us this week! Dies: Tag Sale #6, Limitless Layers 1 3/4"
My kids are back to school tomorrow. They are back a week earlier than most of Ontario as they are on a modified school year. Back a week now and then they get a week off in November. Apparently having a break in both the first term and second term revitalizes them. I don't really buy into this. We have a short enough summer here before we spend most of the year in the cold. I was going through some of my unloved stamps today. I came across sets that I had to have but haven't even seen ink. 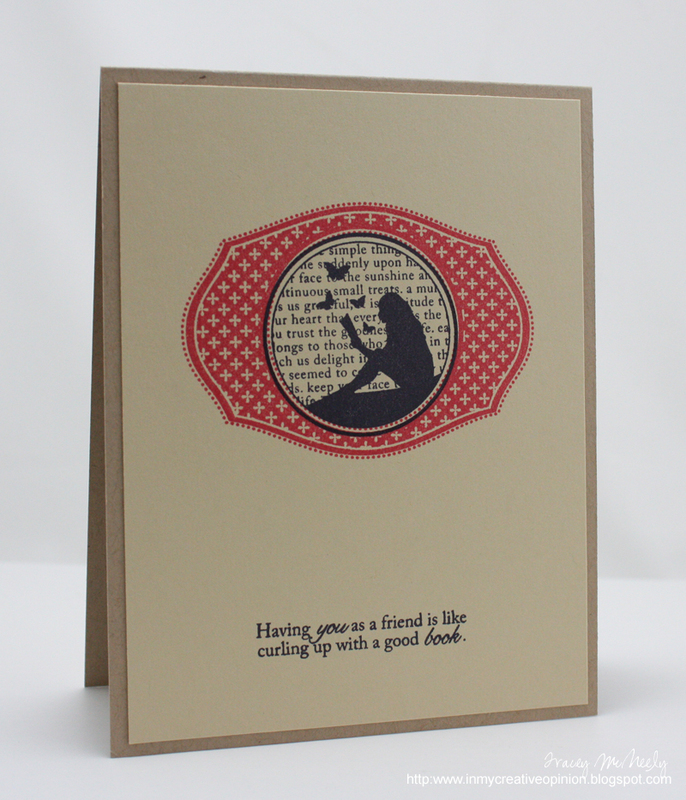 This sentiment was one that I loved from Papertrey's All Booked Up. Seeing it inspired me to create a quick CAS card. 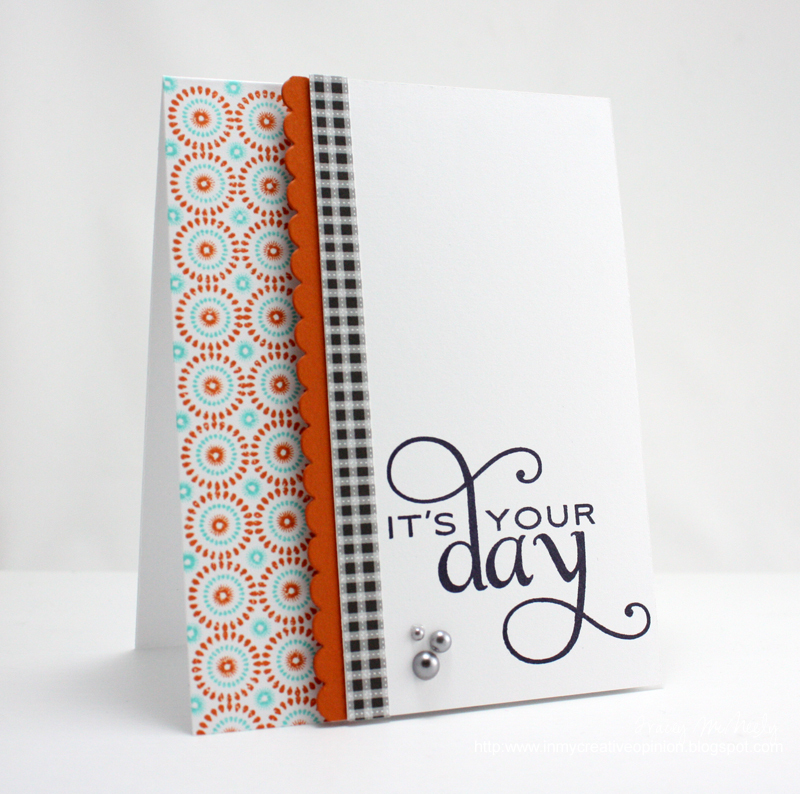 It's time for another Papertrey Ink Blog Hop. I hear it from everyone, where has this summer gone? It has been an incredible summer, is has been super hot here is Southern Ontario. Records high temperatures all of July, in fact this has been the hottest recorded summer ever. I know that most of the U.S. had a similar summer. It hasn't ended yet, the temperature is still in the high 80s most days, we broke 90 on Friday. My kiddos are back to school next Tuesday and are very fortunately that their school, which is only 3 years old, is air conditioned. However, being the end of August fall is just around the corner. Time for cooler temperatures, beautiful changing leaves and Thanskgiving on October 8th. 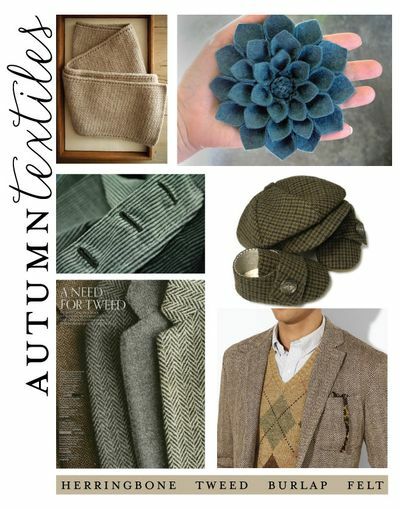 This month's Blog Hop which is Autumn Textiles. 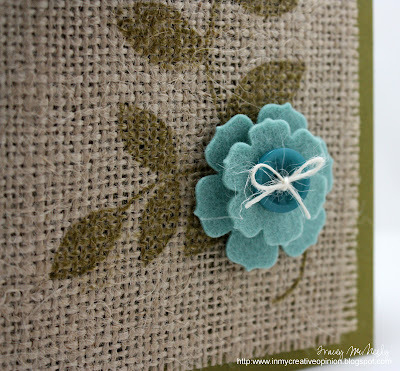 My herringbone stamps and Impression Plate haven't arrive yet so I decided to work with burlap and tried stamping on burlap for the first time. I really love the way it turned out. 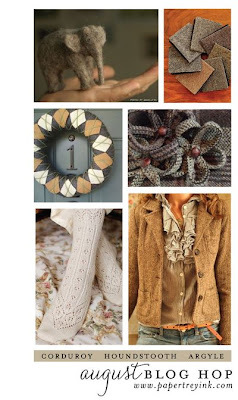 Here are the inspiration photos. 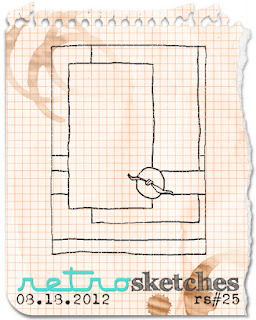 Pretty close to the line to get my card in for this weeks RetroSketch. 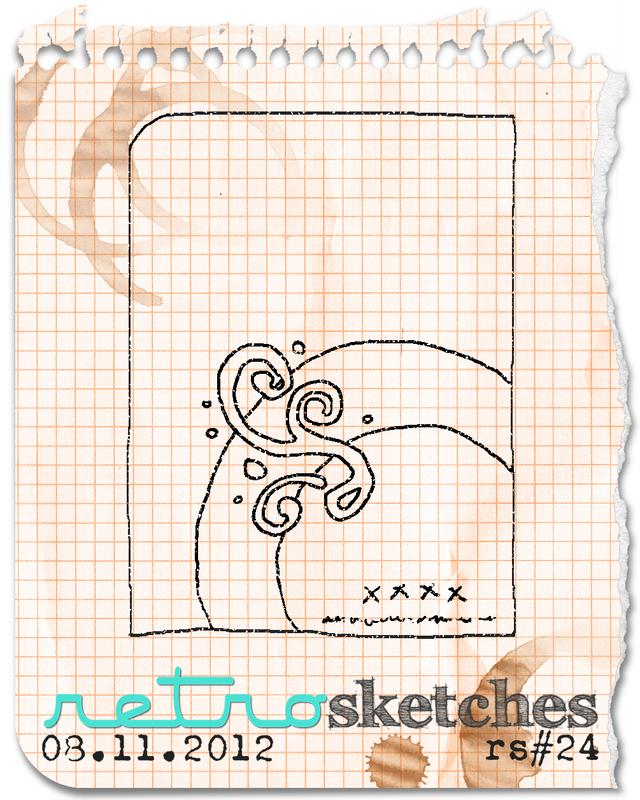 This weeks sketch is based on a card by RetroSketch Headliner Lynn Putt. If you haven't checked out her blog you should Lynn has amazing style. I decided to pull out some paper from Papertrey's Winter Wisteria Paper Pack and use the Natural Beauties stamp set. I am in love with these stamps. 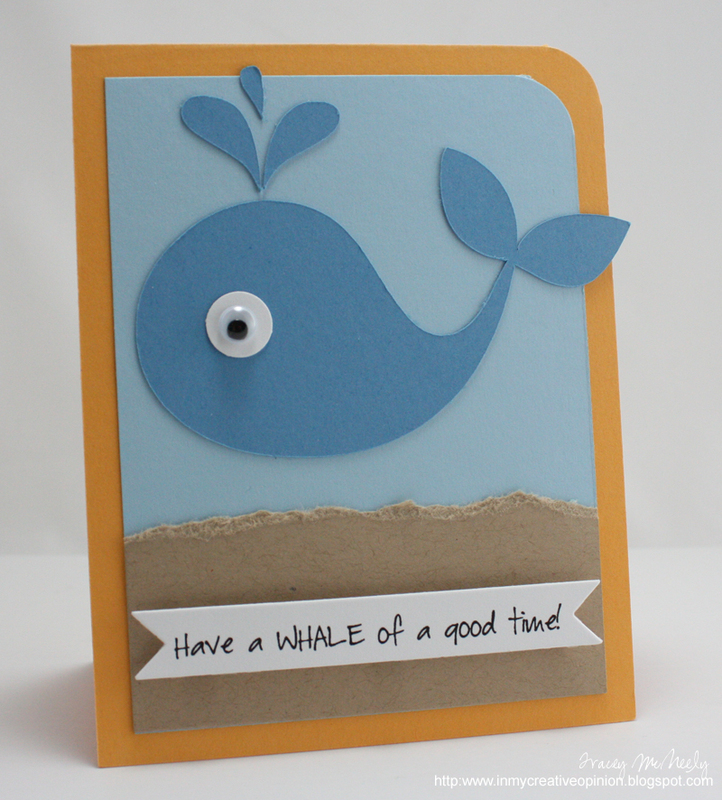 This weeks CASual Friday's challenge was to create a project featuring something you might see in or at the ocean. I think I restarted my sketch for this week about 100 times, there are so many things that fit this time of the year. I finally decided to go with a whale, although when we head to the beach tomorrow I certainly hope if we do see one he or she is as friendly as this one. I usually do not have a lot of luck with tomatoes in my garden, but I think that they have been loving the heat this summer. I have picked a plate just as full as this one every week for the past three weeks just from two plants, each in their own pot on my deck! One red and one orange. Sam always seems to show up when the camera is out to pose for a shot for mommy. Maybe he was just hoping for a tomato. What does green make you think of? For my CAS card I choose three colours of green from light to dark and adhered then to a white card base. 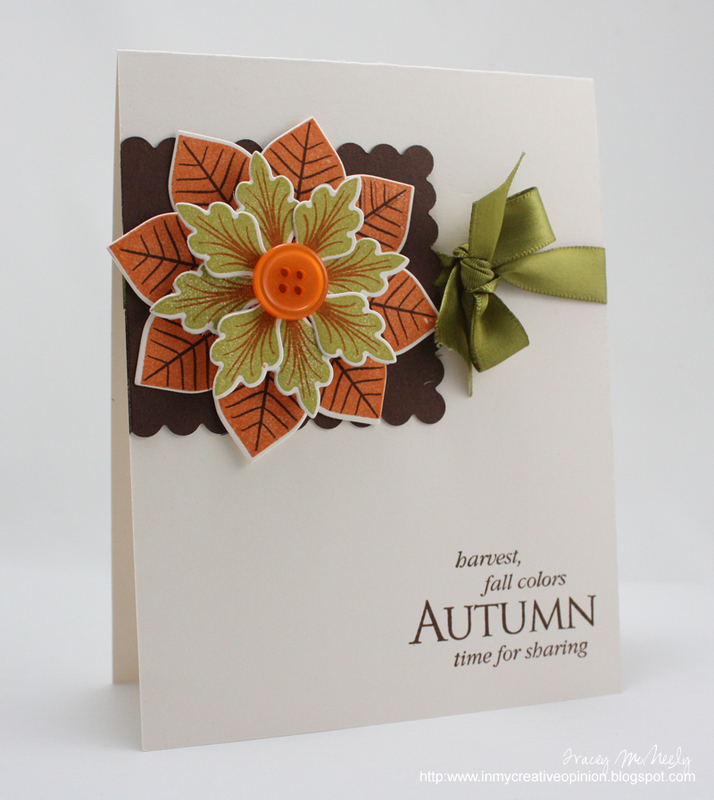 I chose a leaf stamp and I used Veramark ink to quickly stamp on the focal panel with having to switch ink colours (big time saver). I stamped my sentiment right in the middle of the card in black to stand out. 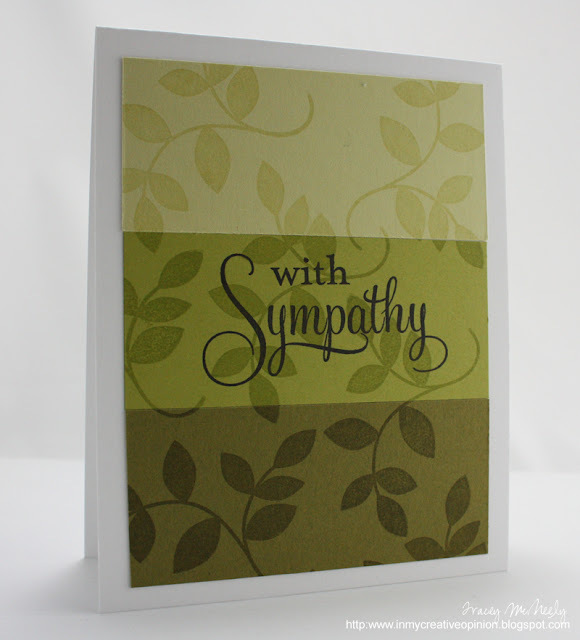 A really quick card. I can't wait to see what GREEN means to you! 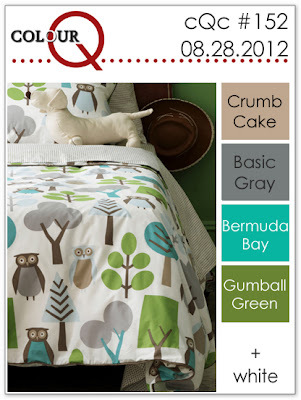 Isn't this weeks colourQ fantastic palette? These colours work together perfectly. 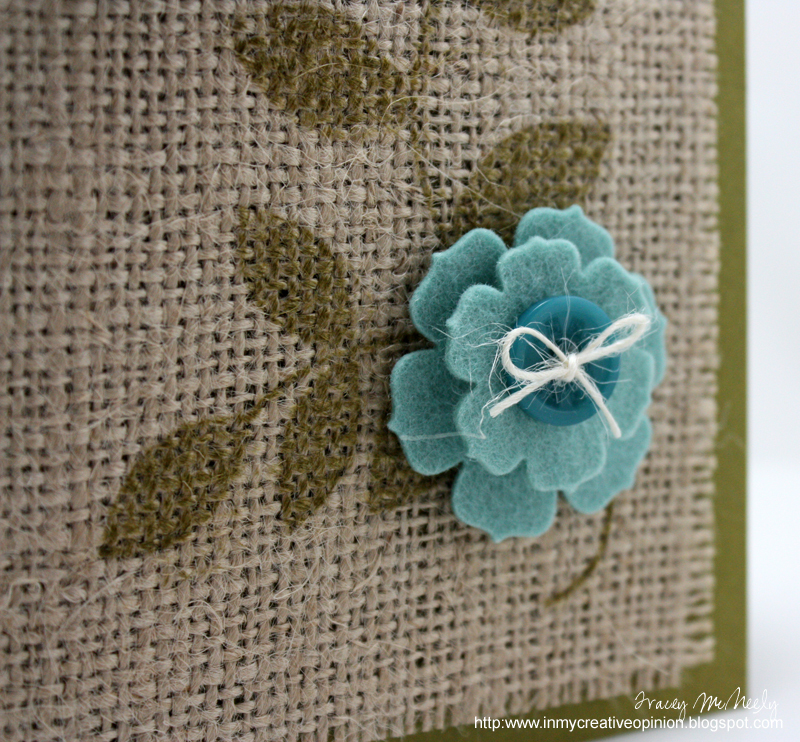 For my card I used Papertrey's Background Basics: Medallion. 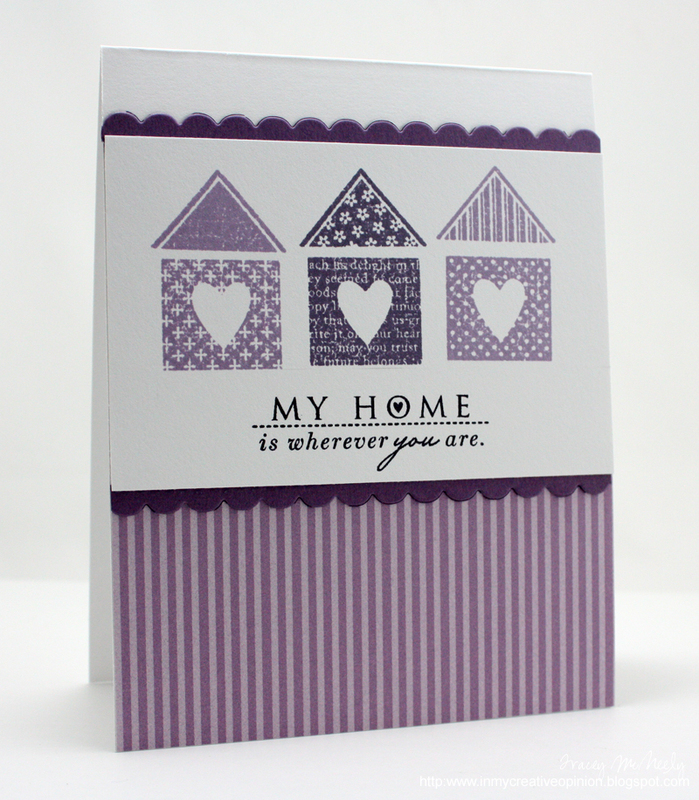 I tried out the stamp, which works in two layers, with each combination of colours. This stamp is so versatile. 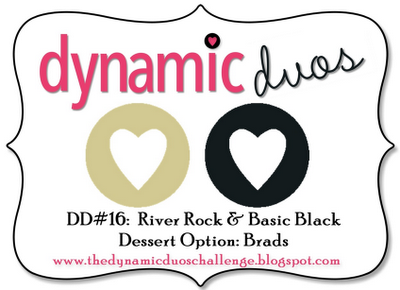 Another fun colour combination this week at Dynamic Duos. 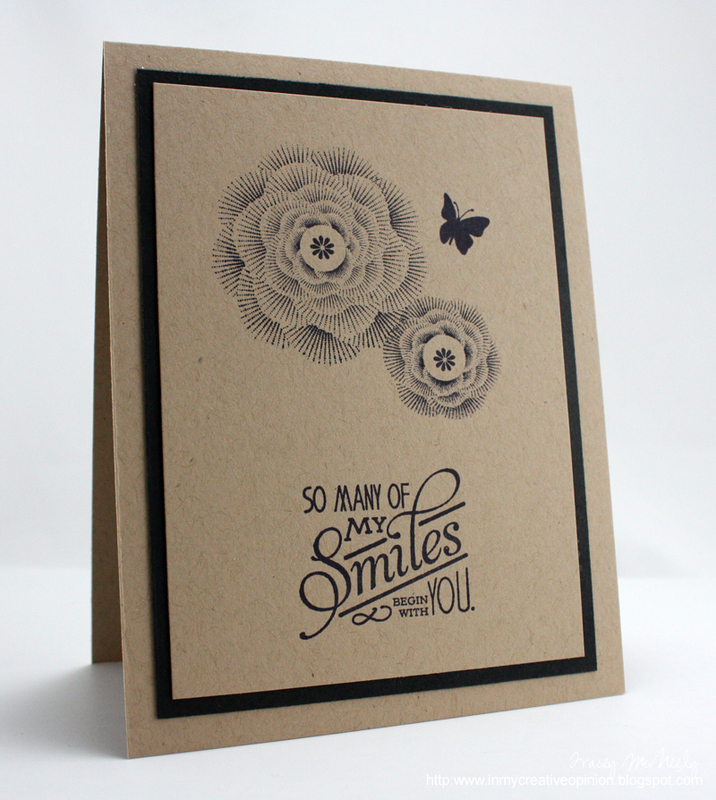 What a great reason to finally ink up my Natural Beauties stamp set from Papertrey Ink's Stamp-a-Faire. Now that I've done that I ask myself why didn't I do it sooner. Love this set. 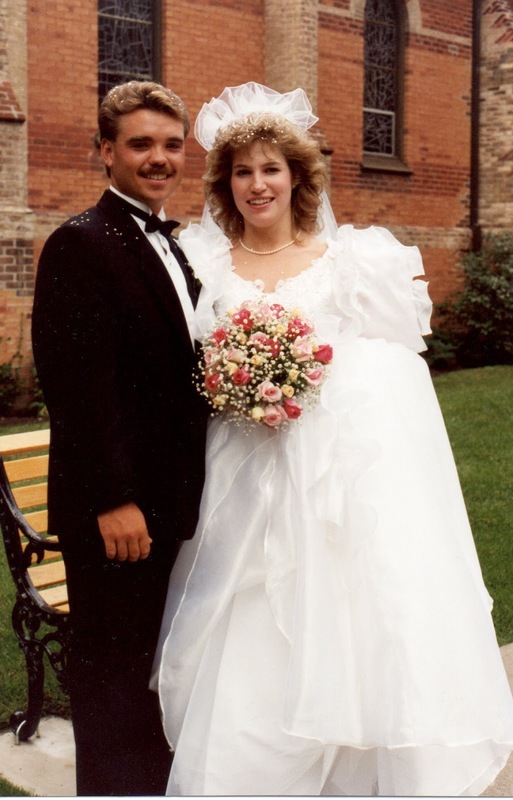 No card today, 22 years ago I had just received my Bachelor of Education and secured a job as a high school teacher, bought my first car and on this day married my high school sweetheart! The years have brought triumphs and challenges and two wonderful children. I had such big plans to create a video montage for my husband but this summer has flown by, especially the past two weeks. So I have a picture of a very happy day to share instead. Wow dresses were big in 1990! This weekend was the Ontario Summer Games in which my son played rugby 7's for the Region of Toronto. The boys ended up winning the plate final and the cup final. Ben scored four try's today but with 1 1/2 minutes left in their final game he took a tackle from behind and got a concussion. That is what scares me about contact sports. Fortunately it is a mild concussion, but he has a nasty headache and an aching jaw tonight from the impact on the ground. After he finished up with the medic on site he asked "Did we win?". Boys...and yes they did. 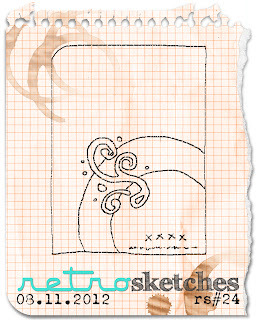 To de-stress I spent some crafty time today making a card for both RetroSketches and CASual Fridays. 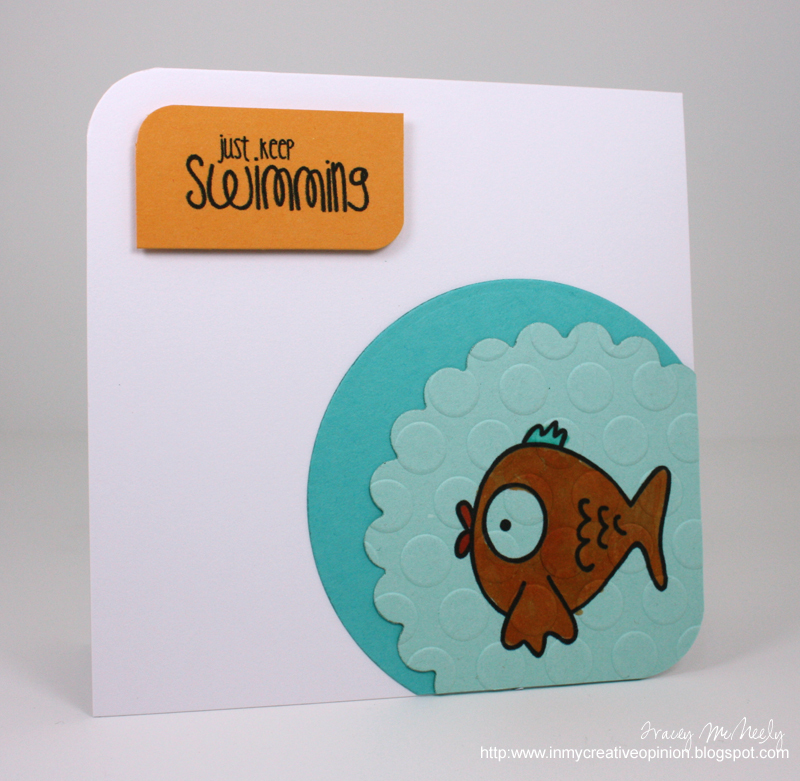 A really challenging sketch this week for me but I decided that I was going to use the cute freebie digital image from The Alley Way Stamps and change the shape of the sketch to a square to fit the CASuals Fridays challenge.